Cannabis vs Alcohol: It can be tempting to compare alcohol use to cannabis use. Both are somewhat illicit substances that have gone through periods of prohibition and popularity. But surprisingly, though alcohol consumption has been completely normalized by our society, even though weed is a much safer and healthier choice. Here are ten reasons why weed should you choose weed instead of booze. Drinking alcohol is seen as completely normal by many people. Your first time getting drunk can be a rite of passage as a teenager, and many adults enjoy alcohol daily with dinner. It can be easy to forget that alcohol consumption can be fatal. It is very possible to drink until you have alcohol poisoning, and there are a number of long-term health consequences (like liver issues). This, coupled with increased aggression and accident rates makes alcohol a deadly drug at times. When you consider that marijuana has no documented medical issues for moderate use, and is linked to zero overdose deaths, it is easy to see that weed is the better alternative. When you drink alcohol, you have to pay the price. Hangovers usually accompany a night of drinking and while many are happy to pay the price, the reason we feel so ill after too many drinks is that we have lightly poisoned and dehydrated our bodies. With weed, the worst you’ll face is a bit of a sleepy morning, and maybe stomach aches if you’ve hit the munchies too hard. Who wants to lose half a day feeling sick at the cost of some fun anyway? Alcohol is a depressant. This is a fact that we all tend to forget because it is often brought out at party time. But alcohol use has severe short- and long-term impacts on mood and can promote depression and aggression. We have all witnessed this first-hand on a night out, our friend who becomes morose or who can’t wait to start a fight. With weed, there is a change in mood, but this change will never lead to a nasty bar fight or day of fighting off the blues. Admittedly, there is some chance of paranoia, but finding the right strain eliminates even this risk. With alcohol consumption comes alcohol culture, and this isn’t always so bad. Food and wine pairings or a quiet night trying a whiskey flight has its charms. But when you think about it, bar and club culture are pretty awful, and something to be avoided anyway. Bringing a bunch of drunks together leads to sloppy nights, regrettable hookups, and witnessing far too many screaming breakups and vomiting sessions. On the contrast, most people indulging in a night of smoking weed might be found enjoying dinner, hanging with friends, or exploring the different parts of the city. With weed, you can make the social situation your own, and enjoy things without worrying about how the crowd will act. 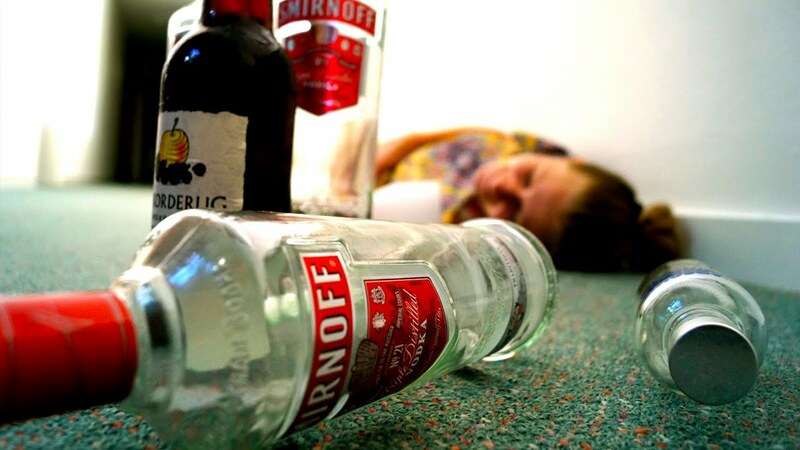 Alcohol poisoning is so common that many people may not realize what it is. The term “alcohol poisoning” actually refers to overdosing on alcohol, and it is an extreme situation that may lead to death. Many teenagers and even many adults risk the loss of consciousness, seizure, vomiting and even death if they drink to this state, and it happens more than we like to admit. While it is theoretically possible to overdose on any substance, researchers have been unable to find a lethal amount to test on any animal, humans included. No person in human history has ever overdosed on marijuana. Even moderate alcohol consumption has strong ties to a number of cancers in adults, including liver, head and neck, breast, esophageal, and colorectal cancer. These risks increase with the level that a person typically drinks, but is evident in people that have 3 or more units of alcohol (for example, glasses of wine) in an average day. Studies have shown that light to moderate marijuana use shows no increased cancer risk, and most of that risk comes from smoke inhalation. Even this is an avoidable risk considering the many edible and vaporizing options we have today. Alcohol and marijuana use are connected because both can cause users to develop a habitual addiction. A habitual addiction is a state of psychological dependence, and can happen in relation to any drug, and has even been evident with overeating and overspending. Alcohol can also be physically addictive, which can make it hard to move away from dependence on it. Because alcohol can be difficult to metabolize, your body may adjust to normalize consumption, creating a physical dependence that can lead to withdrawal symptoms if no alcohol is consumed. People love to point fingers at weed, labeling it a gateway drug and insisting it leads to increased crime rates, but it is actually alcohol that leads to higher crime statistics. People who consume alcohol are much more likely to engage in high-risk behavior, and as a result, to have trouble with the law. In the United States, almost 40% of offenses that lead to jail time are committed by someone who is drunk. This crime increase is related to drinking-related offenses (drunk driving, disorderly conduct, etc.) but communities with high drinking levels also an increase in violent crime. This link between crime and weed use is simply not there. As legalization occurs in different areas of the states, we can observe that there is absolutely no connection between increased use and crime rates. In the past, alcohol was believed to have a variety of medicinal uses, and was often given to people who had had a shock, or were recovering from an illness. Today, we know this is not an ideal treatment, and there actually are researchers who say that alcohol has its health benefits. For example, consuming a very small amount of wine daily was tied to lower rates of heart disease and diabetes. While alcohol may have limited benefits, there is no denying that marijuana has superior medical benefits. Because weed was illegal in the United States for so long, there was very limited research into the medical benefits of marijuana, and even into marijuana extracts. In recent years, people have found that marijuana helps them to cope with a variety of illnesses including anxiety, depression, multiple sclerosis, epilepsy, chronic pain, personal injury, insomnia, and more. With advocates shouting the benefits of marijuana, more research is being conducted, and even medical professionals are amazed at the variety of medical uses that weed has. Some people get pretty creative with alcohol, mixing it with food or Jell-O, and even adding it to fruit. But at the end of the day, alcohol is alcohol: a drink with a very strong taste that might not be for everyone. In contrast, those looking to ingest weed have endless options for doing so! 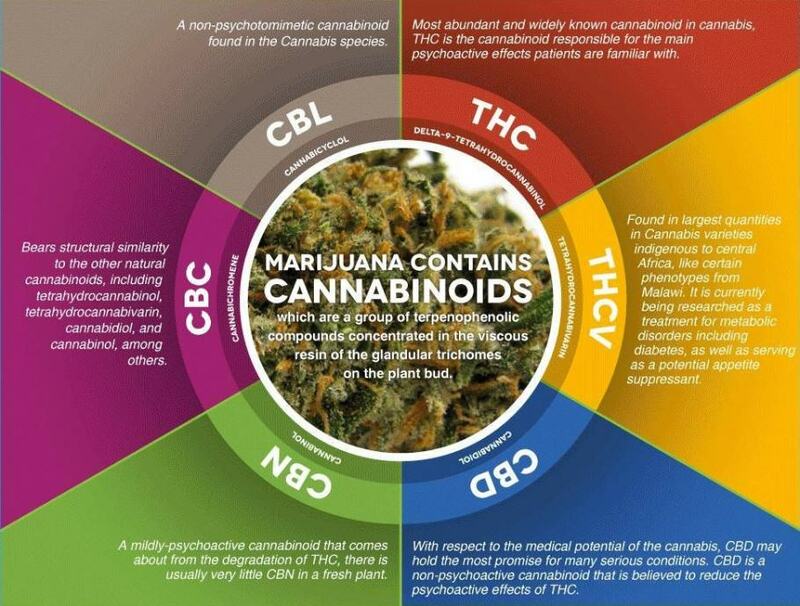 It can be smoked, vaped, eaten, drunk, taken as a caplet, or added to oils and extracts. Many people have elevated the practice of making edibles to an art form, and there is a consumption method for everyone! It is easy for people to demonize weed use. The fact that it has been, and still is illegal in many areas makes most people immediately assume that it is unsafe for use. But, as marijuana advocates have pushed for the legislation, and the medical benefits of cannabis use are becoming more documented, it is clear that weed is the better option. If you have friends and family that normalize alcohol abuse but look down on you for smoking weed, share any of these ten reasons why weed is better than alcohol with them.